Howdy fellow geeks! Today we take a look at some trailers for upcoming big event movies in the MCU and broader Marvel movie-verse. After this month’s fantastic Captain Marvel, the hype is ever-building for the next forays into the comic book realm. Our trailer breakdown docket: Spider-Man: Far From Home, Avengers: Endgame, and an outsider from the first two, Dark Phoenix. Grab your popcorn, sit back and enjoy! Where in the timeline Far From Home lies is unclear. Here, Spider-Man is a philanthropist of sorts, campaigning with Aunt May (who knows of his secret identity) to raise money for various communities and causes. He takes off for Europe for a summer trip with his classmates, and the familiar faces (Ned, MJ, Flash) from Homecoming return in this entry. Nick Fury showing up…is a good thing? The beginning keeps it light until Nick Fury shoots a sleep dart into Ned’s neck. Fury has plans for Spider-Man, which I infer to mean he has intel on baddies tromping around Europe trying to do, well, bad stuff. With what looks to be a new suit in tow, we get a nice, epic shot of Spidey swinging across an enormous river to fend off these kind of supernatural earth and water golems (or other possible villains of lore, like Hydro-Man and Sandman). Next the trailer revels Mysterio’s antics are afoot. I was beyond stoked to see Jake Gyllenhaal revealed to be playing Mysterio (aka Quentin Beck, a special effects wizard), a villain not easy to portray on the big screen. His powers lie in magic and mystique. In the comic books he is a trickster showman, storylines utilizing him like you might see the Riddler appear in the DC Universe. The casting for the character is spot-on. Mysterio’s motives are unclear as of this trailer. His in-trailer media appearance fending off the earth, fire and water golems makes it look like he’s a good guy. Make no mistake: he is DEFINITELY up to something. Peter Parker’s sporting a Steve Ditko style suit, an excellent fan service. The suit just looks fantastic. There’s also a shot of Spidey in an all black suit, which could just be a covert-ops night outfit, but it’s more likely a nod to Spiderman Noir or the Black Suit from the Venom Saga. 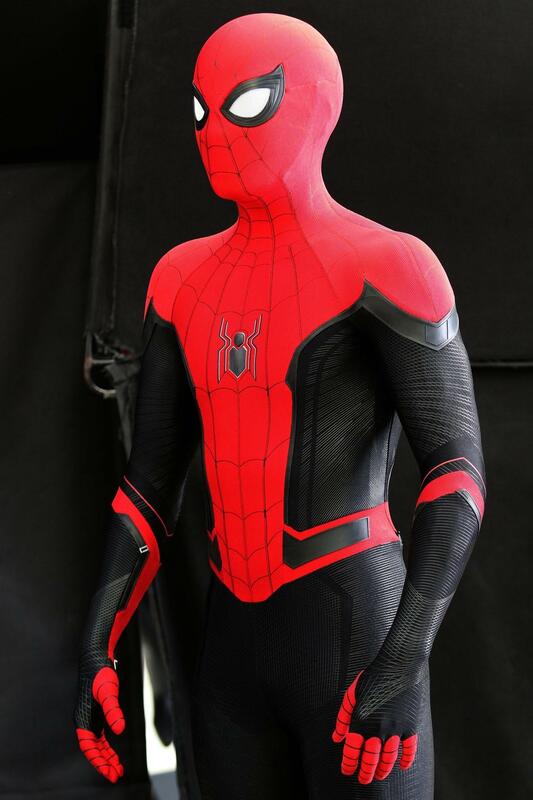 ‘Far From Home’ Spider-Man rocks a Steve Ditko inspired suit design. It seems as though the movie will also take place after the events of Endgame, after the Avengers help put back all the pieces that Thanos left behind. Here is a video that adds some extra looks into trailer easter eggs, but until the movie comes out, this is about it. Glad to see Nick Fury making a comeback in the movies because it feels like he was sequestered to cameos and one-off’s since the first few Avengers flicks. Keep an eye out for new trailers, web-slingers, and let us know in the comments section if any details were overlooked. Far From Home releases to theaters July 5, 2019. What Kind of Endgame Will the Avengers Face? Infinity War was utter desolation. The galaxy faced losses greater than any seen in previous Marvel movies. With Thanos, Marvel finally provides fans an ultimate villain, omnipotent and emotionally complex. By the end of the movie, after the snap, audiences were well aware the heroes had to come back to save the day. The question: how? Doctor Strange (Benedict Cumberbatch) pictured here with the Time Infinity Stone. My running theory for the events post Infinity War is the Time Infinity Stone caused all the people who seemed to disappear in Infinity War to actually just be placed elsewhere. Consequently, it opened different timelines, warped our heroes memories and changed the MCU landscape. Endgame Trailer 2 starts with a short history for all the main Avengers: Iron Man, Captain America, Thor as well as Hawkeye and Natalia/Black Widow. The characters’ pasts could play a role in how they repair the damage wrought by Thanos. In true trailer fashion, there are lots of nods, like the fact that we’re getting a fresh Avengers roster (Rocket and Nebula!) in the MCU, which could also be a precursor to a significant sacrifice on the part of a primary Avengers founder. Change is afoot. 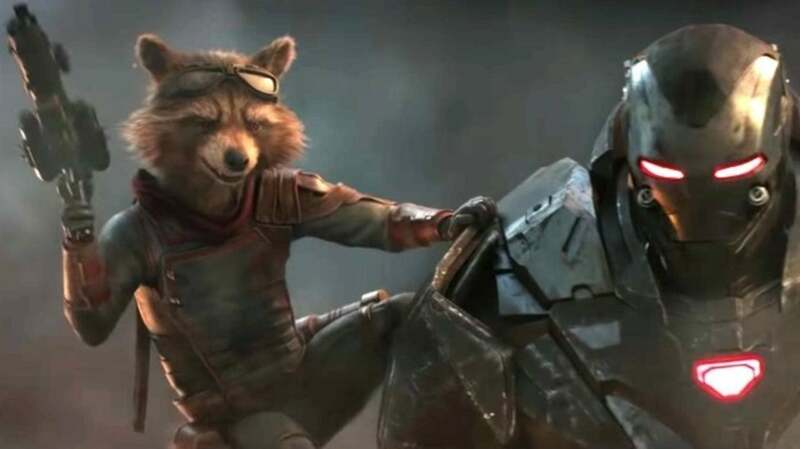 Rocket Raccoon (Bradley Cooper) and War Machine (Don Cheadle). Captain Marvel makes an appearance at the trailer’s end, capping off a witty exchange with Chris Hemsworth’s Thor. Brie Larson looks stoic and smug, seemingly ready to take on what Endgame will hold for her. This trailer is devoid of any Thanos, which is cool. Endgame is about repairing the universe and figuring out what went wrong. They need to take time to recuperate and get their team together. Endgame releases April 26, 2019. THANOS WILL RETURN IN AVENGERS 2. Alright, let’s start from the top. The X-men are my favorite comics characters. Jean Grey is one of Marvel’s best conceived characters, as she is the one cursed to become the Phoenix, an entity so powerful it can destroy entire continents, planets and even galaxies. As a kid, I gleefully entered the theater to see the first ever X-movie. Simply put, I have a connection with this team. Sophie Turner as Jean Grey/Phoenix. Their cinematic franchise has a troubled history, to say the least. While some entries, like X-2, have had strong critical response, Last Stand is heralded as a colossal mess. Each film seems to have its own conceit, and the trailer for Dark Phoenix, while meandering, definitely sets a certain tone. Sophie Turner’s casting as Jean Grey/Phoenix is just fine, fitting the bill, but lacking the original cinematic Jean Grey’s star power in Famke Janssen. Jessica Chastain as Lilandra Neramani. Familiar and new faces lurk among the various shots in the trailer. A sense of foreboding permeates the mood. Jessica Chastain starring as Lilandra Neramani is an awesome comics universe nod, as it connects with the excellent New X-men run by Grant Morrison and Frank Quitely. Hence, her role in the film’s plot is hazy. Yet, in the comics she’s married to Professor Xavier for a while and a Majestrix of the Shi’ar. Sounds intriguing! Michael Fassbender and James McAvoy provide the necessary X-backbone with Magneto and Xavier, the dueling sides of good and evil within mutant kind. The Dark Phoenix Saga is a convoluted, intense, and classic storyline in Marvel Comics history. Taking mutant kind’s strongest telepath and turning her around on her team in a giant intergalactic battle. Phoenix is unbridled power and sheer evil. It could mean a series revitalization a la Avengers: Infinity War IF the writing and directing can handle Phoenix’s scope. It’s a big story, rich in lore. Dark Phoenix looks riveting. Done right, this could be a great X-men film, up there with First Class and Days of Future Past. Reasonably so, we’re on the fence after the Apocalypse movie. Phoenix potentially carries the strength to right the previous film’s wrongs. This is pinnacle X-story-telling. Therefore, I look forward to the film’s outcome. Dark Phoenix releases June 7, 2019. Thanks to our friendly neighborhood Geeks and readers for checking out this trailer breakdown. Let us know your thoughts down in the comments. This can include movie trailers you would like us to discuss and any information we may have overlooked in our analysis. Stay tuned for more updates in this segment of Geek news. Keep calm and Geek on! Jake is a UofL alumni with a Bachelor's Degree in English. He has a deep passion for writing, music and media. Always present, and always watching, his intense observation are sure to reveal new depths and symbols to his audience. In his free time, he writes poems, produces music, paints, reads, and enjoys walking his dog. He loves you very much.